Each time world-class wheelchair racer Tatyana McFadden crosses a finish line, she makes sure to smile and wave. Whether she’s winning another Paralympic Games gold medal or a road race, the routine is the same. McFadden turns her attention toward the press photographer section, where her mother, Deborah, is stationed. 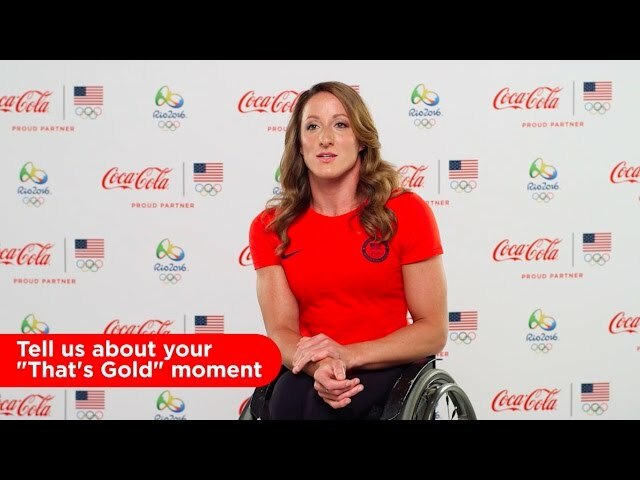 McFadden has spent the last decade competing in wheelchair races around the world, setting numerous records and collecting 17 Paralympic Games medals from five games. Deborah, who adopted Tatyana from Russia when she was six years old, is an avid photographer and received press photo credentials in Rio de Janeiro for the Rio 2016 Paralympic Games. She was in prime position to capture images of Tatyana’s races, as well as those of her younger daughter, Hannah, who also competed in wheelchair racing. Tatyana won four gold medals and two silvers in Rio. McFadden said her mother is an excellent photographer. She mom posts the photos on her website and sends them to family and friends. Deborah, sporting a “Team McFadden” shirt under her photo vest, said her daughter has always been determined to succeed. Her favorite phrase as a child was “Ya sama,” which means “I myself” in Russian. McFadden has shown she can achieve incredible things, and her mother has the photos to prove it. See an infographic detailing McFadden's accomplishments.